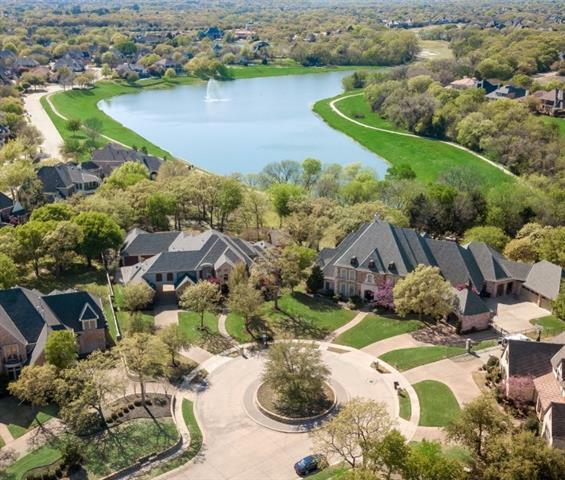 All Colleyville homes currently listed for sale in Colleyville as of 04/19/2019 are shown below. You can change the search criteria at any time by pressing the 'Change Search' button below. 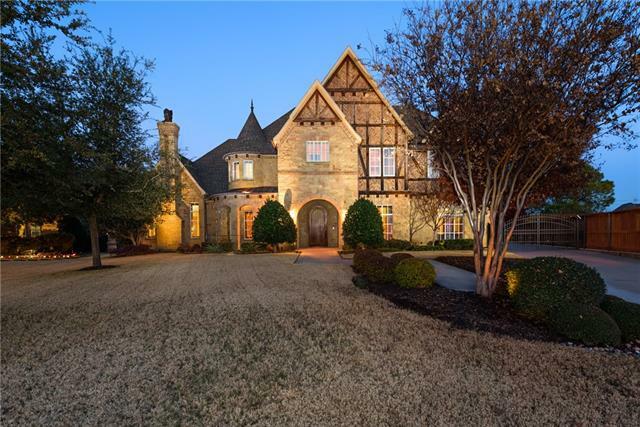 If you have any questions or you would like more information about any Colleyville homes for sale or other Colleyville real estate, please contact us and one of our knowledgeable Colleyville REALTORS® would be pleased to assist you. 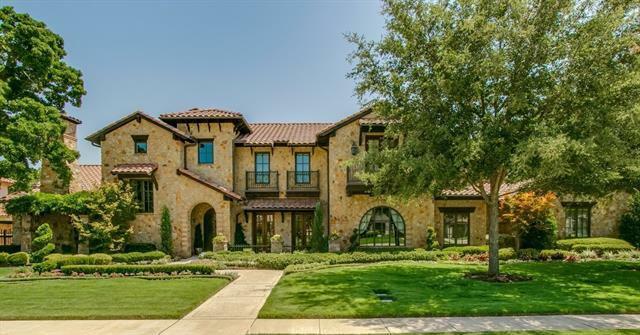 "This masterpiece of a home captivates architectural ceilings, grand gallery walkways, Tuscan columns, exposed beams, intricately inlayed travertine, seamless glass curved bay windows, and stained glass encased windows. Live in grand style with 6 fully appointed master worthy bedrooms, enclosed engineered elevator, 3 full kitchens plus a summer kitchen, home theatre, wine grotto, & resort style pool. The splendor continues with groin ceilings, unique boutique style closets with glass front cabine"
"*THIS LISTING IS FOR 2404 GLADE RD AND AJOINING 2406 GLADE RD AND WILL ONLY BE SOLD TOGETHER* As you pass through the private gated entrance, and proceed up the expansive drive, you are welcomed by this spectacular estate. Ideally situated on nearly 2 acres, with gracious gardens and a stocked pond this extraordinary property is a rare find. 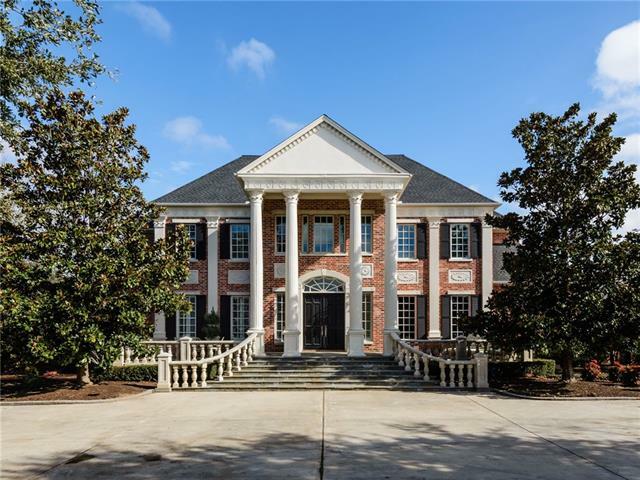 Dramatic and grand, this home is a masterpiece of intricate architecture with design elements like 200 year old study doors imported from Italy. 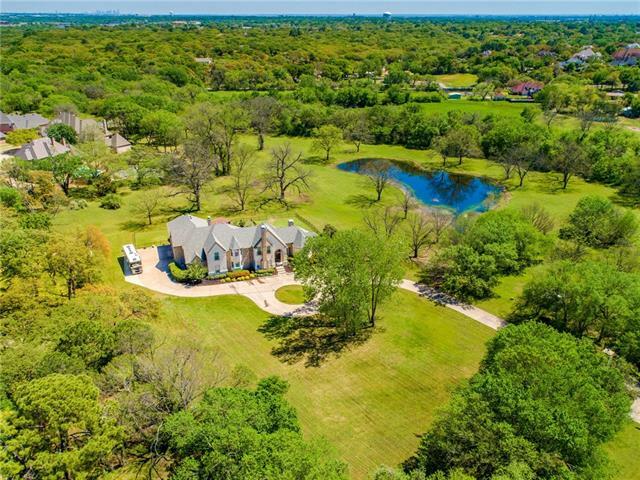 Relax an"
"Almost 6 Acres located in the heart of Colleyville! BRING YOUR HORSES! Barn, guest quarters, community bridle path and lighted equestrian arena. 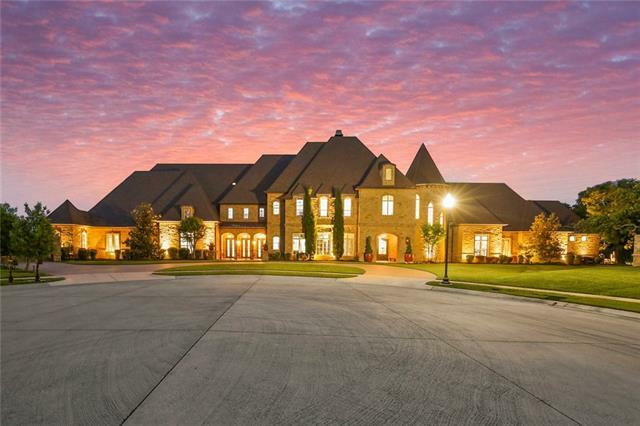 This elegant estate home has it all. Guest quarters, Diving pool with attached spa and sport court. This exquisite property will be on the market and ready for showings in the next ten days." 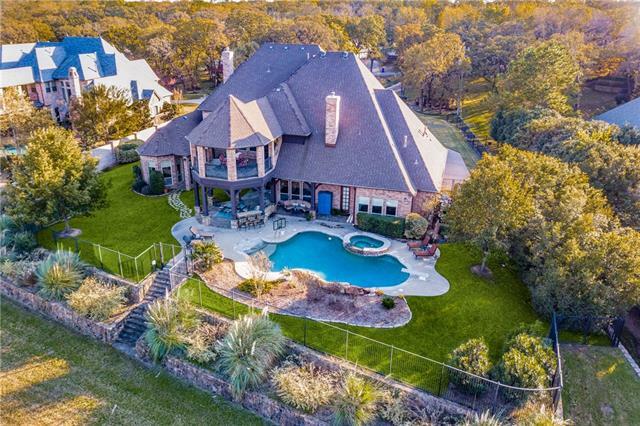 "Gated 3 acre estate offering a 4 car garage, entertainer s backyard with Pennsylvania blue stone patios and decking, pool, spa, sports court and pond. Well appointed 1300 sq. ft. guest house with island kitchen, hardwoods and private one car garage. Main house has open plan with natural light, white custom woodwork, wood windows, dog room opens to dog run. Gourmet island kitchen with Wolf & Sub Zero appliances. Private master suite with sitting area and guest suite down, 3 more bedroom suite"
"Magnificent estate in the gated community of Castleton Manor! Exquisite from the moment you walk in!! Gorgeous custom lighting fixtures & detailed craftsmanship throughout w-plenty of walls to display your fine art! Media room, master & guest bdrms down & 3 bdrms up w- game & play rooms. Conversation or wine room positioned ideally for entertaining your guests! 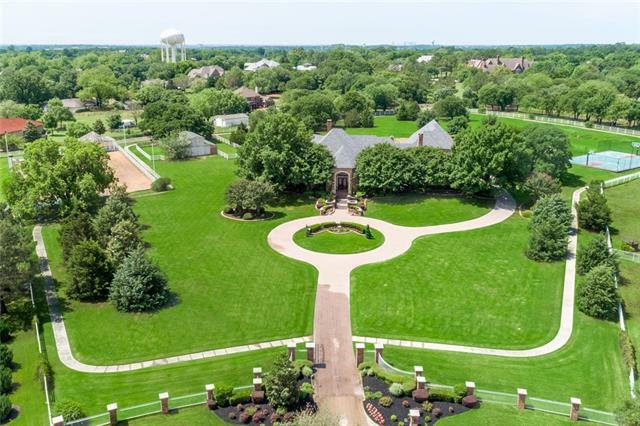 The gourmet kitchen offers a large center island, top of line appliances, a large walk-in pantry & a catering room all open to the spaci"
"Beautiful Estate on 7.9 Acres! 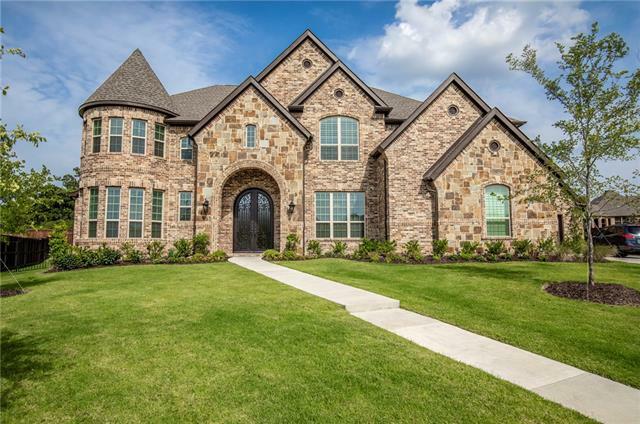 Drive through the private gate to a custom 5 bed, 4.2 bath, light & bright open floor plan that greets you w soaring ceilings, a sweeping staircase & warm wood details. The chef s kitchen boasts granite counters, a large island, breakfast bar & SS appliances w stunning backyard views opening to the family living area & wet bar. Enjoy the Master Suite w a fireplace & spa-like bath. Upstairs features 3 bedrooms & a loft style flex, game room w wet bar. 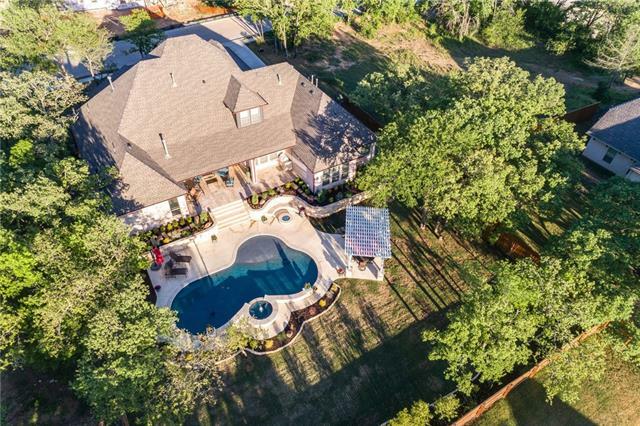 Above the sp"
"Private appointments available, Call for details, One owner custom nestled into heavily wooded acreage complete with double gated entry, stocked pond, circle drive, well for keeping pond filled that irrigates the entire lush landscaping. Incredibly generously sized rooms meant for large living. Built with elevator shaft for future completion and over-sized guest suite up being used for additional media room and game room. Tons of storage and pristine taken care estate with all the right rooms." "Picturesque custom residence tucked away on three treed acres w pool, pond & creek offering a rare combination of luxury and comfort. Property has stellar curb appeal w tailored landscape, gated entry & circle driveway. 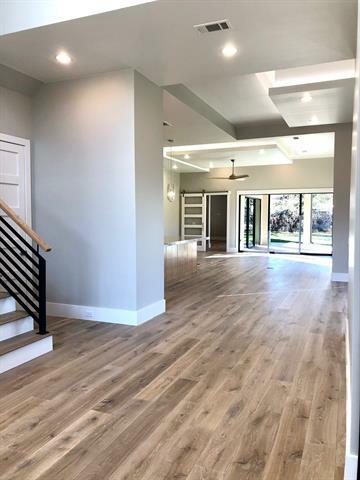 The interior provides refined finishes including spacious living*two-story chef s kitchen w commercial grade appliances & dual sinks*executive study w domed ceiling*private master retreat w relaxing bath*a 1st floor independent living suite w kitchenette & separate entrance. Up"
"ONE OF A KIND FEATURING THE MOST MAGNIFICENT VIEWS OF THE BEAUTIFUL BOTANICAL GARDENS & SPECTACULAR PRIVATE POND! Park-like setting on 1.5 Acre Lot, quiet cul de sac*Custom Built One Owner Home*Resort Style Backyard featuring heated, Infinity edge pool,river,spa,outdoor LV, FP,Fridge & Grill*Chef's Delight Kit. featuring 2 dishwashers, 2 built-in fridges, 2 ice makers, 6 burner stove,open to Family Rm. 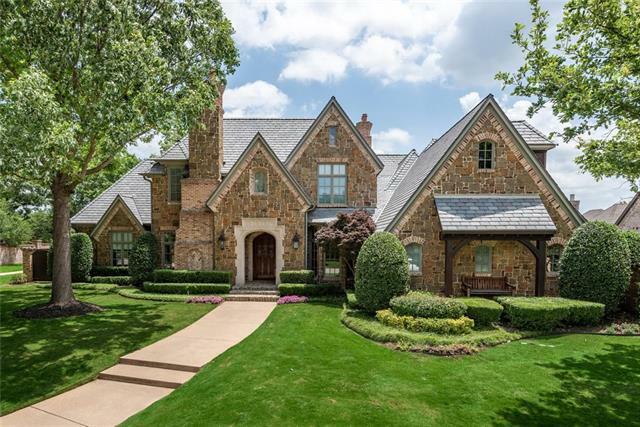 with access to covered patio*Multiple staircases*4 fireplaces*Six bdrms,6.5 baths in main hous"
"FORT WORTH MAGAZINE 2019 SHOWCASE HOME! Modern Farmhouse show stopper! Gated community with lots of trees, a community park, and water fountain. Two-story ceiling in great room, linear fireplace, 15ft glass sliding pocket door. First-floor game room, media room, and wine room. Spacious kitchen with Thermador appliances. Catering kit with custom cabinetry, built-in fridge, sink and second dishwasher. Private master suite with oversized custom closet. Upstairs 3 beds, 2 baths, bonus game room." 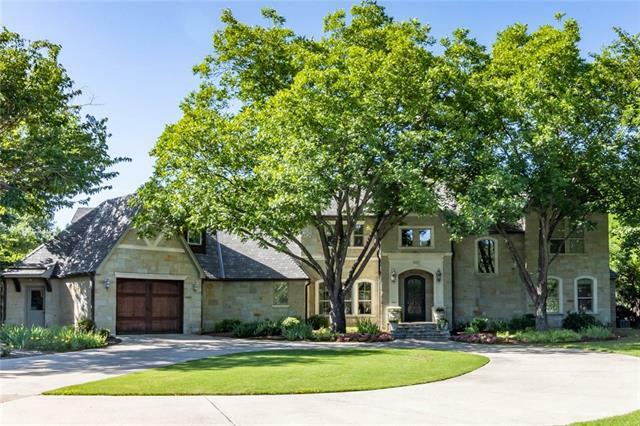 "Gorgeous contemporary four year old home on over one acre in Alianne Estates in Colleyville. This is a must see! Every detail was considered in the construction of this Monument Custom home. Four bedrooms, four baths, six car garage with surplus of built in storage, fabulous Claffey pool and outdoor living space. Koi pond, two firepits as well as summer kitchen make the outdoor living area feel like a vacation year round. Have fun with the fireman pole from second to first floor! Xeriscape lands"
"Car Collectors Paradise. Xtra Large 5 car garage w 10 ft ceilings to accomodate lifts. Large motor Ct.& oversize port a cache for daily driver. 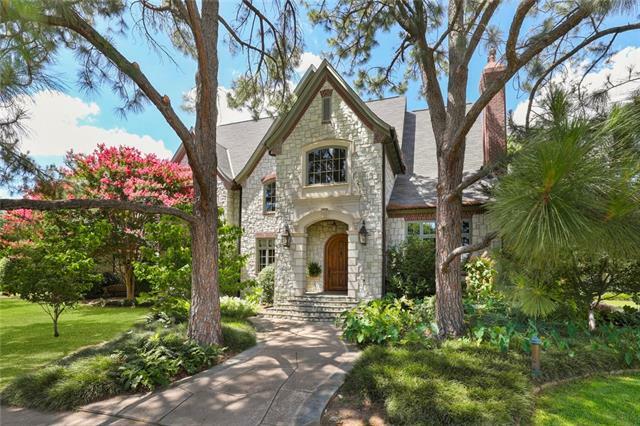 Single Story, meticulously maintained, detailed showplace is reminiscent of Vintage 1920 Mediterranean architecture. Every attention to quality, design research & detailing by master craftsman-builder Neil DiGiammatteo. Flowing open spaces,inviting rooms,quality of a bygone era of true craftsmanship. 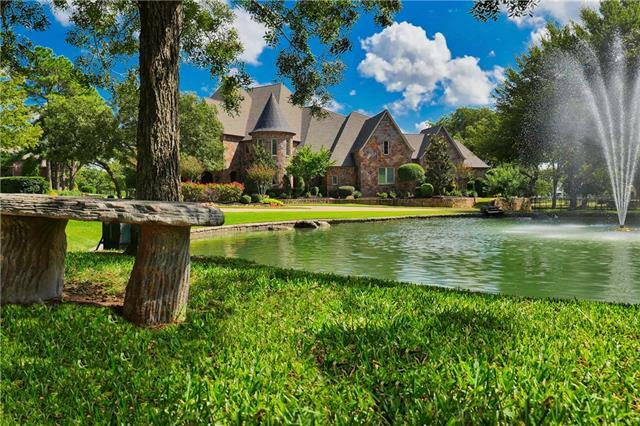 Pool & spa, lushly landscaped, fountains, private ver"
"New gated community in the heart of Colleyville. Minutes from everything! Spacious and open with lots of natural light! This soft modern style home built by Atwood Custom Homes is nestled on over half acre lot overlooking private park with lots of mature trees. Designer finishes throughout. 5 bedrooms, 5.1 bathrooms, 4 car, study, and first-floor media game room. Gourmet kitchen with top of the line appliances, large island and a gorgeous view of the backyard and park. Spacious outdoor living"
"Extraordinary custom home with fantastic views of lake in back. Jogging trails and flowering landscaped with trees and fountains. Even at night the view is spectacular. Spectacular home with over 7000 sq.ft. including true guest quarters with BR, BA, & Laundry & it s own lock off quarters and entry. Beautiful grounds and gardens plus sparking pool, spa & water features. Circular drive with pavers. Library, Master BR & Guest BR on main level. 4 car garage, & remote gated motor court. 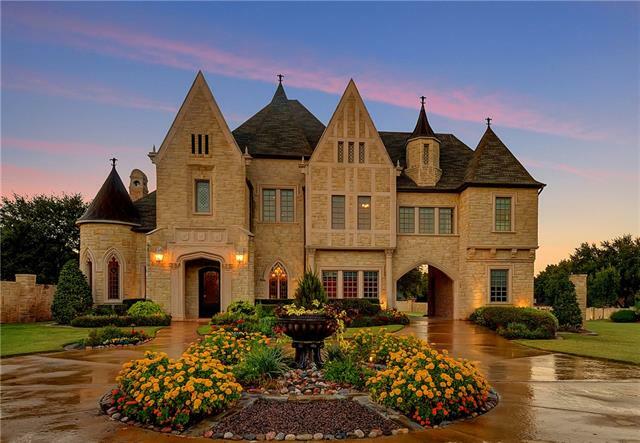 Gu"
"MAGNIFICENT, CUSTOM ESTATE ON 2.580 ACRE, GORGEOUS LOT WITH PRIVATE LAKE IN ULTRA DESIRABLE COLLEYVILLE! THIS HOME IS TRULY EXQUISITE IN EVERY DETAIL! THE CRAFTSMANSHIP, MATERIALS AND FINISHES ARE BREATHTAKING, THE DETAILS AND DESIGN CLEARLY THE RESULT OF METICULOUS PLANNING AND CARE. THE INCREDIBLE, LANDSCAPED AND EQUESTRIAN FRIENDLY LOT OFFERS DELIGHTS AT EVERY TURN, AND INCLUDES A PRIVATE GUEST HOUSE WITH BEDROOM, LIVING ROOM, BATH AND MINI KITCHEN. 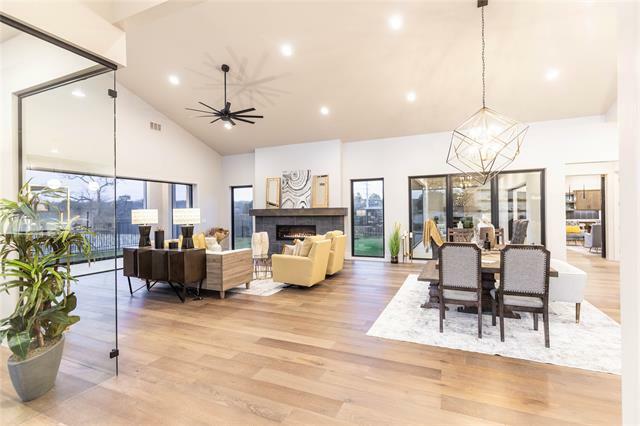 YOU, YOUR FAMILY AND FRIENDS WILL MAKE F"
"Stunning custom home w exceptional craftsmanship & attention to detail located in the exclusive Highland Park gated community. Wall of windows in the formal dining gives way to a beautiful backyard view. The gourmet kitchen has top of the line appliances, 2 islands w leather granite, 2 dishwashers & breakfast bar opening to the family room w cathedral beamed ceilings & a cozy stone fireplace! Relax in the luxurious Master Suite boasting a gas fireplace, private patio & spa-like bath. Enjoy fun &"
"Award-winning Atwood Custom Homes. Colleyville's newest gated community. The perfect 1 story we all have been looking for. 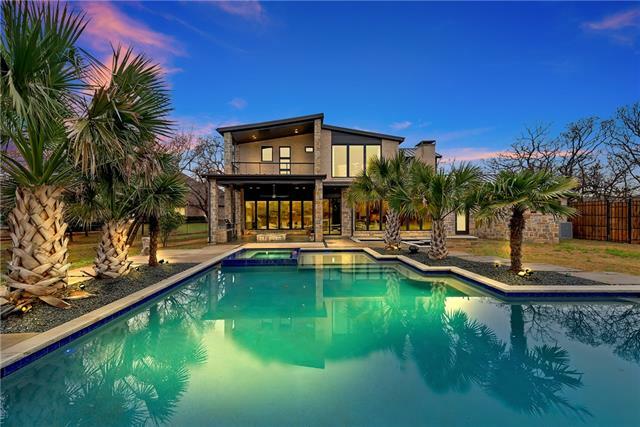 Home features clean lines, beautiful finishes and two incredible outdoor living areas. Open living design with gourmet kitchen hosting Wolf appliances. Media and game room with walk-around bar. Owners suite with oversize custom closet. Beautiful study." "Unbelievable architectural attention to detail & interior design, this magnificent showplace has it all! Offering 6 bdrms, 6.5 baths, this timeless designed home abounds with the finest appointments! Oklahoma hand-cut stone both inside & out* Fabulous views from the expanse glass windows from family room of the outdoor pool& spa all overlooking a greenbelt lot* Stunning views from master bedroom of the outdoor exotic Brazilian wood deck with outdoor fireplace* Handscraped with wood diagonal hard"
"The traditional curb appeal that blends with the surrounding will lead you to the exquisite modern updated living area. The house has been Completely updated walls, paint, floors, windows, AC units, imported Cabinets, quartz countertops, sinks, appliances, tile to the ceiling bathrooms, fence and everything else that must be seen. The backyard has the oasis feel with the beach entry pool, the full grilling kitchen, fireplace, covered sitting, gazebo, palm trees and the open green field behind it"
"Stunning luxury estate inside gated entrance on 1+ acre w 5,878 sqft (708 sqft guest house included). 4 bedrooms, 4.5 bathrooms, 3-car garage & separate boat-sized 2-car garage w AC attached to 1-story guest house. Separating the 2-story home from guest home is a gorgeous backyard oasis w pool & spa, covered porch & outdoor kitchen. Beautiful hardwoods, cross wooden beam trusses, custom built-ins & accents, open-concept gourmet kitchen & family living separate from formal living & dining, as wel"
"Stunning home built by Castlegate Homes in the highly sought after Leyton Grove! Designed by Larry E. Boerder & Associates. Grand entry with handcarved solid mahogany door. Executive Study with fireplace and built-ins. Dining room with large windows overlooking the beautifully landscaped front yard. Family room with wet bar, wine fridge, and French doors leading to the backyard. Kitchen with ss appliances, double ovens, gas range, and butcher block island! Master suite with large seating room an"
"No detail has been overlooked in this immaculately crafted 2-story home by luxury home builder Larry Stewart! Home resides on quiet cul-de-sac on nearly two-thirds of an acre! 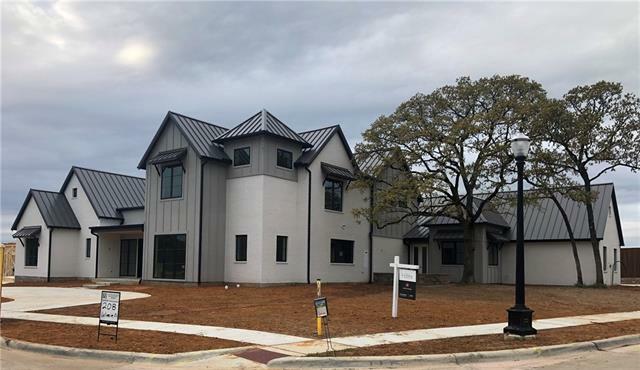 Inside you will find 5 bedrooms, formal dining area, executive study with built-ins, 1st floor media, upstairs game room, 4-car garage, & expansive outdoor living space! Upgrades include beautiful hardwoods, beamed and tiered ceilings, 4 fireplaces, intricate millwork, timeless chandeliers, wine grotto, & MUCH MORE! 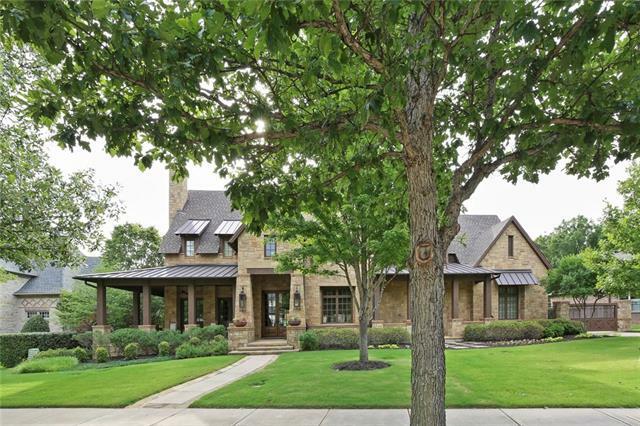 Chef's"
"Award Winning Patrick Custom Homes Beauty in Colleyville's gated Legacy Estates with Park View. Professionally landscaped HALF acre lot with resort style custom pool and backyard living space. Open floor plan overlooking pool and backyard great for family and entertaining. Chef's dream kitchen with commercial grade appliances, double island, and storage galore! The owner's suite in its own wing features spa like bath and massive closet connected to laundry. Custom designed ceilings, hand scrap"
"Loaded with upgrades! Custom lighting-28k, open beam ceilings, Wolf and Sub-Zero appliances, elite addition cabana bath-19k, media room with 9 power recline leather theatre seats, custom woodwork-15k, Dolby Atmos 11.2 channel surround sound-all Definitive brand in-wall speakers, Screen Innovations reference 150 in. THX certified and acoustically transparent micro-perforated screen, two 12-inch Sunfire 1000W powered subwoofers, JVC 4K projector, 7 zone whole house audio system with Elura red labe"